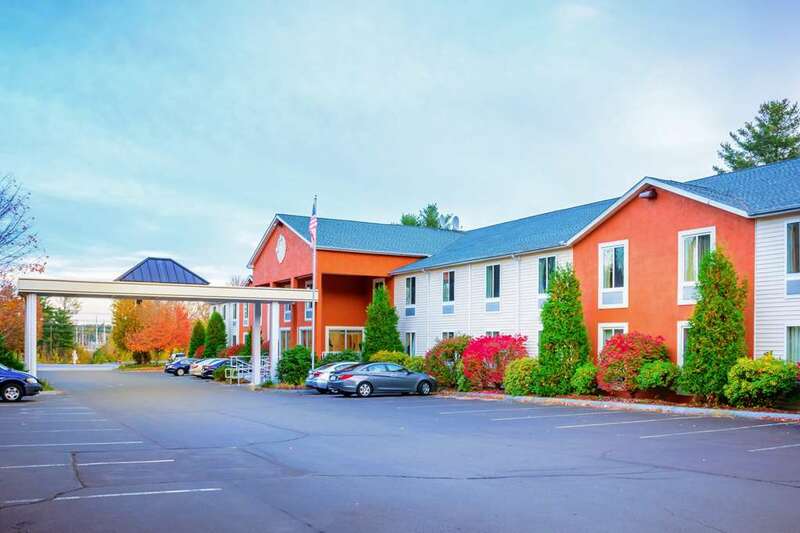 Get more value at the Quality Inn Nashua hotel in Merrimack, NH, which lets you relax and focus on the people and experiences you came for. We give you easy access to Nashua Mall, Merrimack Premium Outlets, Verizon Wireless Arena, Mall of New Hampshire and Manchester-Boston Regional Airport. Enjoy such great amenities as free WiFi, free parking, free hot breakfast, business and fitness centers. Your guest room features a refrigerator, microwave, coffee maker, hair dryer, iron and ironing board. The more often you stay with us, the more rewards you earn through our Choice Privileges Rewards program.